Germany vs Sweden was a much-anticipated game. The defeat of the champions to Mexico had dampened several spirits, and many thought that Sweden too, may better their European rivals. However, the game ended 2-1, with Toni Kroos proving to be their hero in the 95th minute with a free-kick goal to aid the effort of Reus. Sweden’s sole goal arrived in the first-half itself through Ola Toivonen. However, a person who was closely viewed during the game was Swedish and Manchester United defender Victor Lindelof. The 23-year-old was United’s new arrival last season, and was expected to be a stellar presence in the heart of their defense. However, his debut season didn’t go well at all, with numerous mistakes in the starting games marring his image, and despite having improved over the course of the season, supporters were quite critical of him, often branding him a waste of money. As of such, how he’d perform against Germany, having missed the match against South Korea due to illness, would prove crucial to his future prospects. Needless to say, supporters were surprisingly impressed by his antics. 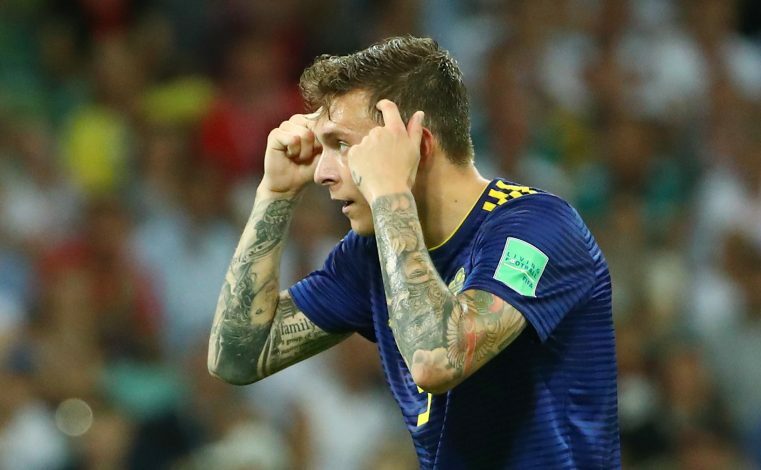 While his role couldn’t save Sweden from defeat, his calmness in the face of the relentless German attack and the manner in which he took on the likes of Timo Werner and Thomas Muller was quite impressive. Twitter had several instances of praise for the youngster, and many United fans even went one better and suggested that he shouldn’t be replaced or sidelined next season. They argued that he could indeed prove apt company for Bailly in the heart of the United defense, and that the Mancunian club need not splash heavy cash on aging talents like Jérôme Boateng and Toby Alderweireld, with whom the club has been linked heavily. Interestingly, in the case of comparing the German and the Swede, Boateng left the pitch as a result of a red card, while Lindelof, albeit on the defeated side, may have just given Jose Mourinho a point to consider.